Global Aging: Santiago, Chile will bring both undergraduate and graduate students to an urban metropolis nestled within the Andes mountain range. Chile, South America’s 7th most populous country, is experiencing population aging faster than any other country in Latin America. More than 30% of the population is projected to be over 60 by 2050. This Intensive Course Abroad will introduce students to aging as a global phenomenon, exploring what Chile’s rapid population aging means for families, health professionals, urban planners, and the government as well as parallels with our own country’s aging population. Students will visit community care facilities and talk with Chilean professionals, students and faculty members about how we can make our countries as age-friendly as they can be. Students of all disciplines are encouraged to attend this trip. Define important concepts in global aging and the terms used to describe the demographic transition and the epidemiological transition. Describe how the trends in aging are different throughout the world. Describe key events and individuals that have shaped the social and historical context of the country of interest. Recognize ethnocentrism and reflect on your own biases before traveling to the host county. Observe key interventions designed to address important aging issues. Reflect on your observations and report on a particular issue linked to aging in Chile. Credit/Registration: Students will be registered for IPS T380 / IPS T580 Global Aging 3 credits as part of their fall term course load. Undergraduate students must leave room for the credits in their fall credit load when registering for fall term or will be billed for credits exceeding the 20 credit maximum. 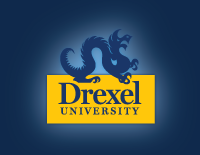 Graduate students will be billed for 3 Drexel credits at their normal rate. Pre-Travel Online Learning Modules required for all participants. Date and time will be provided post-acceptance. Students are responsible for independent travel before or after program dates. Morning: Aging in Chile & the US – Symposium, Pontificia Universidad Católica de Chile: La Catolica colleagues present on aging in Chile and CNHP Dean Gitlin and faculty will present about aging in the US. Evening: Dinner debrief. At “dinner debriefs” two students will be asked to lead a discussion about the day. Students pay their own meal. Museo de la Memoria y los Derechos Humanos: a commemoration of the victims of the human rights violations during Pinochet’s 18-year regime from 1973–1990. Museo Historia Nacional: exists to educate the people of Chile and visitors about the country’s history and heritage. Day trip to the Kintun: Co-developed by CNHP Dean Gitlin, The Kintun program is the first public health strategy specifically designed for dementia care in Chile. Evening: Dinner debrief (format above), students pay for their own meal. National Service of the Elderly – how does this interact with health (Adult Daycare, nursing homes)? Evening: Debrief (format above). Students pay for their own meals. Morning: Breakfast Debrief (format above). Students pay for their own meals. Morning/Afternoon: Walking Discussion & BYO Picnic Lunch: Santiago is Chile’s largest city with the accompanying industry and transportation-related air pollution made worse by its location in a valley. The group will visit Parque Metropolitano, the city’s largest green space. Evening: Dinner debrief (format above). Students pay for their own meals. Day 8: Wrap up & Departure: Check out of hotel. Goodbye Breakfast (students pay for their own meals) and departure for US. *All payments are non-refundable unless declined admission or program cancels for unforeseen reasons. US citizens do not need a visa. Other nationalities should confirm visa requirements on the Chile embassy website. A suggested itinerary will be provided. Students are responsible for booking their own airfare.